Slack users tend to be passionate about the popular collaboration tool. 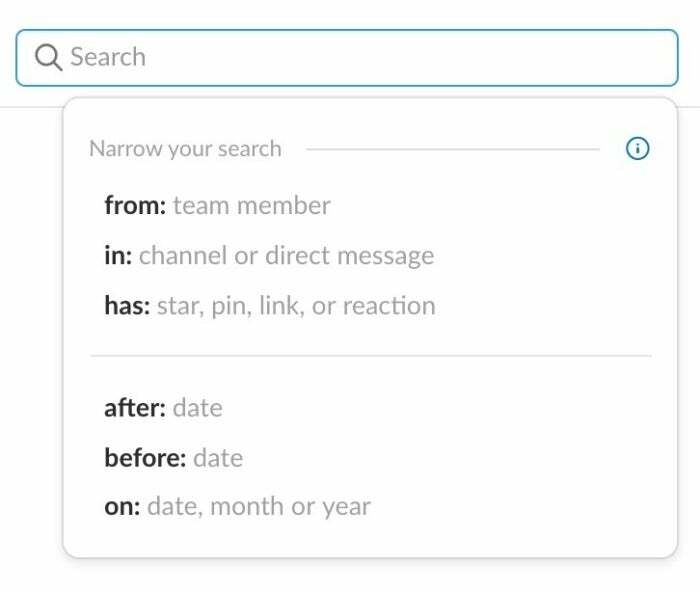 “Slack has changed the way we communicate internally,” said Rob Shapiro, senior director of product strategy for Muck Rack, a digital PR and journalism platform. 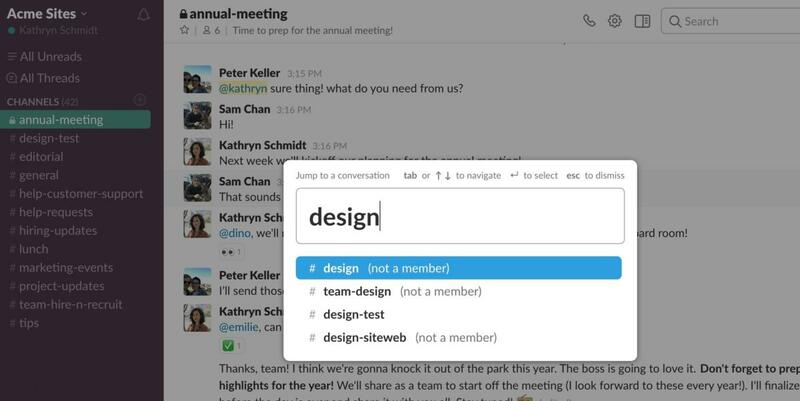 Slack’s easier access to shared files, discussion areas and notifications “made our team smarter, faster and more in tune with one another,” he said in a recent interview. That passion also tends to lead users to find ways to get even more from the app, which can be downloaded for Windows here, for Mac users here and for Linux here. We asked people from the Slack user community (as well as the company itself) for their top tips, tricks and hacks. These are 18 of their favorites. Use a consistent naming convention across your organization, such as a short abbreviation for departments or teams. For example, use #mkt for marketing. Add an underscore and a short descriptor for the channel, too, such as #mkt_facebook, said Todd Thibodeaux, president and CEO of CompTIA, the nonprofit technology industry trade association. The naming convention helps order the channels in your list, and the underscore can help make the channels easy to read and find. “I couldn’t count how many Slack channels I’m actively participating in, not to mention direct message threads,” said Fred Schebesta, CEO and co-founder of Finder.com, an independent comparison platform and information service. He’s a heavy user of Command + K (for Macs) and Control + K (for Windows) to quickly jump between channels. With this “Quick Switcher” keyboard shortcut, a search box appears. Start typing the name of the person or channel you want for quick access. Command + K (for Macs) and Control + K (for Windows) allows you to quickly jump between Slack channels. Command + Shift + K on Macs and Control + Shift + K on Windows is another handy Quick Switcher shortcut because it enables you to jump directly to the Direct Messages menu, said Brad Shaw, owner of Dallas Web Designs. “I find this shortcut especially handy when creating a group chat with multiple members,” he said. Sometimes you’ve got a few seconds to read a message, but not enough time to respond at length. Maybe you need to do a little research before you answer, or you’ve glanced at the message as you head into a meeting and can’t respond immediately. “I frequently set reminders for messages I can’t attend to right away but need to come back to,” said Schebesta. Hover over a message and click the *** Show message actions icon, scroll down to “Remind me about this,” and choose when you want to be reminded. Slackbot will bring that message back to your attention at the desired time. Before posting a message in a channel, ask yourself: Does everyone on this channel need this information? “Judicious use of @here, @channel and @username can help you make sure that the right people get notified about information, instead of making it available to everyone,” said Emily Wiese, vice president of Digital Skills for Skillsoft, an online training platform. “Remember that notifications pop up on all devices every time you use an @,” so think twice about how you use it, she added. If a conversation is relevant for a subset of a channel’s audience, create a new sub-channel instead of a private message with multiple people, Wiese said. When the discussion is over, use the “/archive” command to archive the sub-channel. Astro has added its email assistant Astrobot to Slack and added Slack messaging to the Astro email apps for Mac, iOS and Android. That kind of integration means you can reduce time toggling between email and Slack. 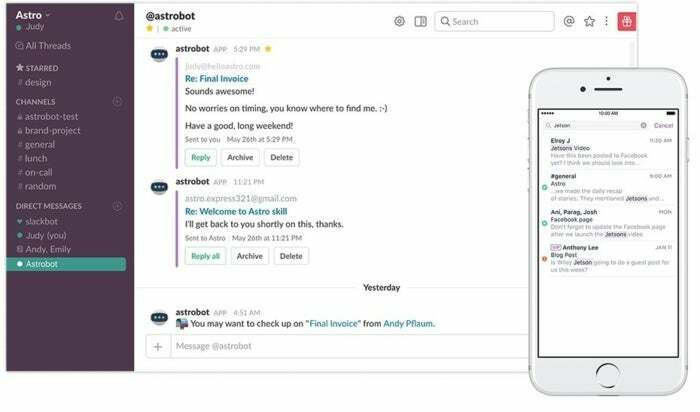 Astro has added its email assistant Astrobot to Slack. “Astrobot will ping you with new emails and you can reply, archive and delete email within Slack,” said Allison Tetreault, marketing manager at Toast, a cloud-based restaurant technology company. Astro integrates Slack with Gmail and Office 365 email accounts. Plus, “you can search your conversations across Slack and your email inbox for any topic,” she said. Slack offers other options for integrating email into its service. When an email thread continues for more than two or three rounds, it’s a good candidate to move to Slack, which is often more efficient than traditional email. Wiese said that when an email thread gets too long, she creates a new Slack channel on the topic and invites colleagues who were in the email thread to continue the conversation on Slack. 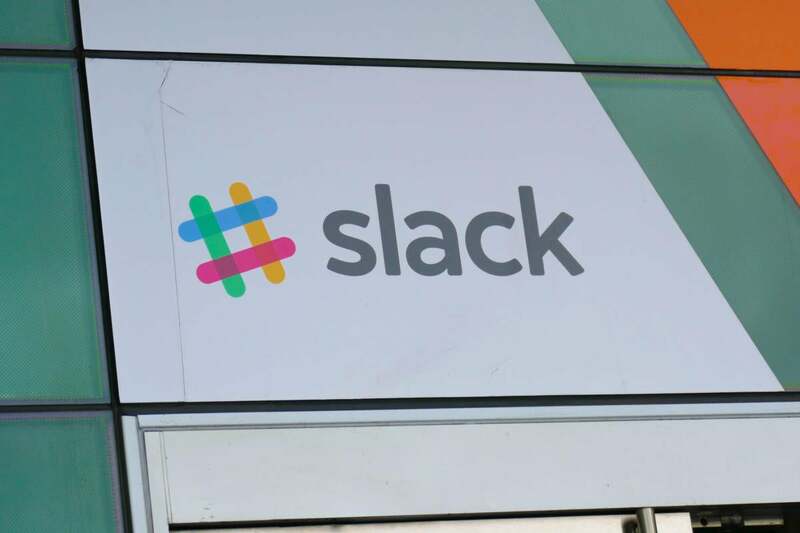 Slack works well with tools such as Zapier and IFTTT, which automate actions in the app that are then triggered by actions in a connected service. For example, whenever a Google Sheets spreadsheet is updated, Zapier will automatically notify all interested parties via a Slack message. “This hack saves me lots of steps,” said Andrew Hoag, founder and CEO of purchasing-software service Teampay. Teampay also automatically sends new email notifications from specific inboxes, such as support and sales, to Slack, so that “team members can discuss questions and issues that might come up before responding to the customer,” Hoag said. If you sent a message prematurely or by accident, or want to correct it, just press the Up arrow on your keyboard, said Wesley de Souza, a senior developer for Work & Co., a digital product agency. To delete a message you’ve sent, hover over it, press the Up arrow, delete the text, hit Enter, then hit Enter again to confirm. Note: Team owners can limit editing options to a specific time period after a message has been sent or can disallow editing or deleting sent messages completely. When Slack channels have a lot of messages, links, attachments and GIFs, things can get messy. To keep you focused, use Slack’s Compact theme, de Souza said. The theme hides member profile photos and uses less white space between messages. Follow these steps to change your message display settings in Slack. When you receive information you’ll need later, such as important contact details, a documentation URL or an important file, star the message by clicking the hidden star to the right of the time the message was sent, said de Souza. (The star is visible when you hover your cursor to the right of the time stamp.) You can then find the information later using the “starred items” pulldown. Use Stars to also create ad hoc to-do lists, and unstar items when a related task is complete. Similarly, for easy access later on, you can pin key messages and files to the details pane in a channel or direct message using the Pin to #channel feature, accessible from the *** Show message actions icon. Here’s how to pin messages and files. 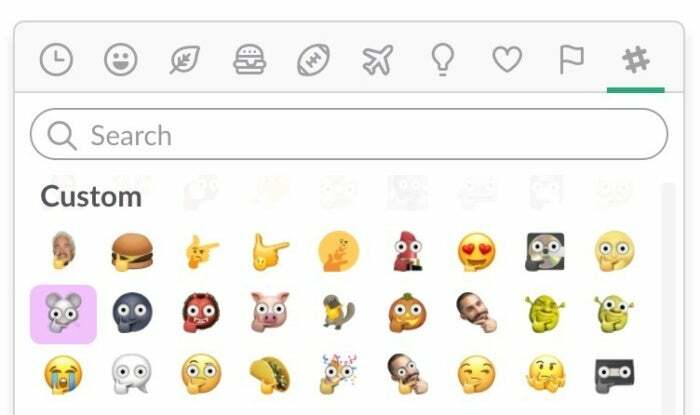 You can make your own custom emojis. Some channels may be important to you, but you don’t need to see their constant stream of notifications. For those channels, Schebesta uses Slack’s channel-muting feature, which you can find at the top of a channel by clicking on the gear icon to open Channel Settings. Alternatively, you can type /mute into the message box in the channel. You can easily unmute a channel, too, by clicking the muted channel icon beside the channel’s name. 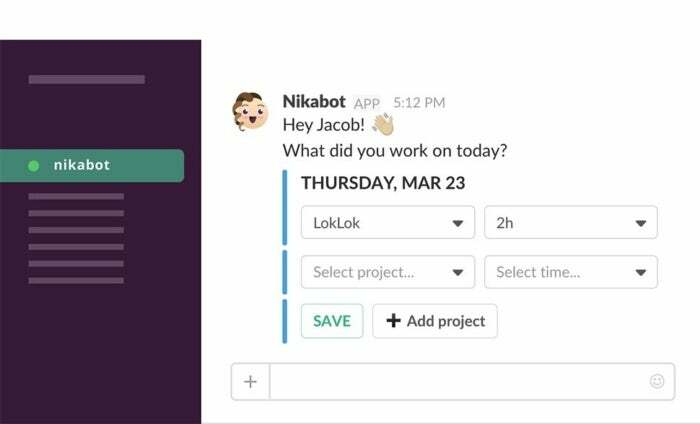 Nikabot is a Slackbot that tracks team members’ time. Slack messages may involve decisions that have to be made. Or a thread may just go on too long. In those scenarios, hit the call button, open a WebEx session and have a quick face-to-face conversation, said Wiese. WebEx is among the videoconference apps/services that integrate with Slack. Others include Blue Jeans, Google+ Hangouts and Skype. Like any communications tool, Slack can be addicting. It’s tempting to check your Slack messages while in meetings — but it pulls you away from the others in the room. You can snooze all Slack notifications during meetings or intense periods of work, when you need to stay focused. In addition, Slack’s Do Not Disturb feature will prevent notifications on weekends or other times when you don’t want work to intrude. Here’s how to turn on Slack’s Snooze and Do Not Disturb settings.